Fall is right around the corner, although with the sudden influx of pumpkin recipes and Halloween decorations everywhere you’d think it was already here. When does it feel like fall to you? What comes to mind? Is it Starbucks’ reminder that pumpkin spice lattes are back for the season? Is it the changing of leaves or the fact that school is back in session? As for me, I think of the Ohio Renaissance Festival that my family has visited off and on over the years. I don’t partake in the oversized turkey legs or the mead, but what does draw me in every time is the sugared and spiced nuts: light, crispy, and sugary. Richly scented, I think they’re the perfect taste of fall. I like them best warm, but they make a great snack regardless and are a hit during the holidays, too. Looking for a delicious treat that is perfect for gifts or a quick snack? Check out our amazing spiced nuts recipe here! 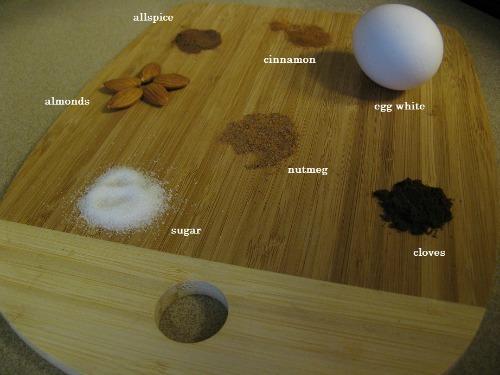 In a large bowl, mix together the egg white and nuts until they are coated and sticky. Mix sugar and spices; sprinkle over nuts, stirring until coated well. Bake 20-25 minutes and enjoy the scent of fall permeating your home. * Adapted from Betty Crocker’s cookbook. Disclosure: Budget Earth did not receive monetary compensation or product for this recipe. All opinions are our own and may differ from our readers’ opinions. 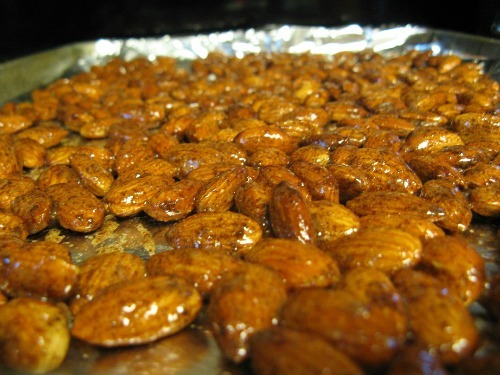 I love to make spiced nuts for snacks during the holidays. Thank you for sharing this recipe, it will be added to my arsenal. What a great healthy snack. I am a nut lover and want to givethis a try right away! That sounds pretty good. I like eating nuts as long as they are flavored. Boston baked are a favorite. These sound delicious, I am going to have to try them when the weather gets cool enough. These look amazing for a holiday treat! They’d be good for guests and would make a wonderful small gift too, like for a hostess gift! Looking forward to trying this recipe. 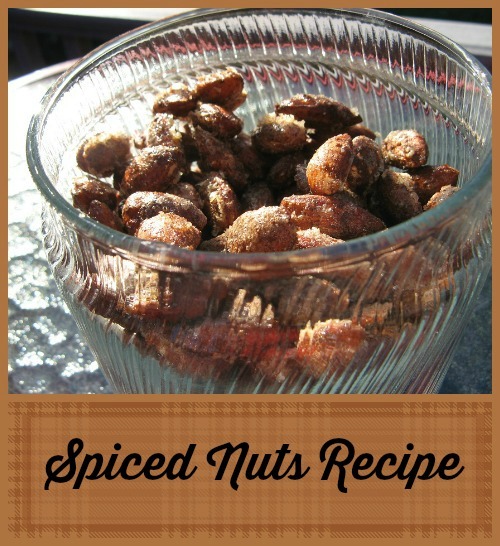 I have eaten spiced nuts before, but I’ve never made them, I’d love to give it a try. Thank you for sharing this recipe. I could eat a whole bag of sugar coated nuts. I love these. I’m going to try this recipe. I pinned it for later. This the perfect final addition to my Christmas baskets,thanks so much!